Could Kimi Raikkonen really return to McLaren F1 in 2019? Kimi Raikkonen returning to McLaren for the 2019 season may have seemed unthinkable a few months ago, but as the driver market continues to move, it is increasingly looking like a serious possibility. Just as the Formula 1 driver market’s silly season for 2019 appeared to be fizzling out, the Austrian Grand Prix weekend offered some twists that could be key to setting next year’s grid. Daniel Ricciardo, Lewis Hamilton and Valtteri Bottas may all be nearing new deals with their existing teams for 2019, but there still could be a big mover at the front of the grid - arguably the man whose switch has been mooted for the longest amount of time. Kimi Raikkonen’s future is an annual topic in F1. It has been ever since he returned to the sport for his second stint in 2012, intensifying following his return to Ferrari. Each year the same: questions about Raikkonen’s motivation; defence from teammate Sebastian Vettel; a handful of decent performances; and ultimately a contract renewal for another 12 months announced in the summer. But this year is looking different. Following the rise of Ferrari junior Charles Leclerc to F1 and his stunning start to life in the sport with Sauber, picking up points in five of the last six races, Raikkonen is treading on increasingly thin-ice at Maranello. The reasoning that Ferrari had no better alternatives than Raikkonen no longer holds up, with Leclerc looking like a ready-made replacement. The assumption had always been that if (or when) Raikkonen got dumped by Ferrari, he’d most likely leave F1 altogether, only for the last couple of weeks to offer a twist. 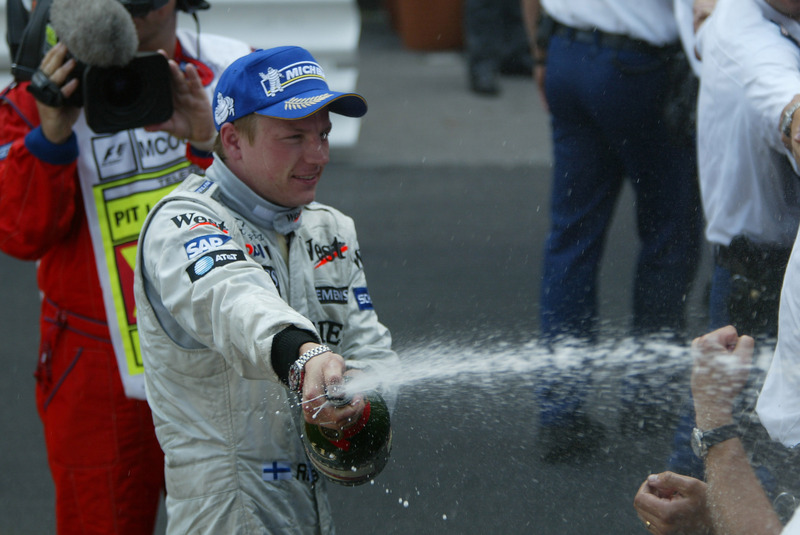 What if Raikkonen were to return to McLaren for 2019? A crazy thought, right? Yet a report from Press Association in the short break between France and Austria suggested such a move was being considered by McLaren, with the team seeming to now hold the keys to the driver market for next year. Unsurprisingly, Raikkonen was grilled over his future during Thursday’s FIA press conference in Austria. While he was his usual deadpan self, batting the questions away with dismissive remarks, he was perhaps a little more reserved than usual. Instead of just scoffing at the suggestion he could return to McLaren, he remained coy, even seeming to tease the assembled members of the press in the room with his answers. “I said, I think it was 2007, that I would finish Ferrari and obviously at some point it didn’t look like that, and now it looks like that again,” Raikkonen said. So had he spoken with McLaren? “I spoke to them, for sure - but in the past a lot, obviously when I used to be there. Like I said, I have zero interest to get involved in all the nonsense, in my view.” Oh Kimi, you joker. It’s the same kind of thing we’ve been hearing from Raikkonen for years, making it his normality. This time around, it’s looking increasingly likely that he will need to actively pursue options outside of Ferrari if he is serious about remaining in F1 in 2019. The hype surrounding Leclerc has been brewing for some time, yet his recent performances have proved that it is all justified. He has been superb for Sauber since shaking off the last bit of rookie nerves in China, with things clicking ever since. His best result of P6 in Azerbaijan is already a better finish than fellow highly-rated youngster, Stoffel Vandoorne, has ever achieved. In Austria he put in a mature performance to manage his tyres excellently - something a number of his more experienced peers failed to do - and grab some points for Sauber after starting 17th. Ferrari chairman Sergio Marchionne is known to be a fan of Leclerc, causing talk of a possible move up to Ferrari to escalate in recent weeks. The most surprising aspect of this was the suggestion it could in fact happen before 2019, with Spa or Monza being mooted as possible races where a mid-season swap - Leclerc to Ferrari, Raikkonen back to Sauber - may take place. “We have a contract until the end of the season and we haven’t spoken so far about the future,” Sauber team boss Frederic Vasseur said, joking that he would give an “obvious answer” to an “obvious question”. Leclerc knocked the question about moving to Ferrari from Spa onwards back with ease, stressing his focus was on the present, not on the future. “I am really just focusing on and trying to take that off my mind and trying to focus on what I am trying to do now,” he said of the rumours. “As I said in the past I don’t think it’s good… I’m repeating myself every week unfortunately. I wish I could bring you something more but I need to focus on this year. Would Ferrari be so cut-throat to drop Raikkonen mid-season? It would be bold given his excellent relationship with Vettel, and considering the team now leads the constructors’ championship, partly thanks to the Finn’s rise to third place in the drivers’ standings. He may not be on Vettel’s level, but he’s not been a million miles off this year. In anything, he may be closer than ever. 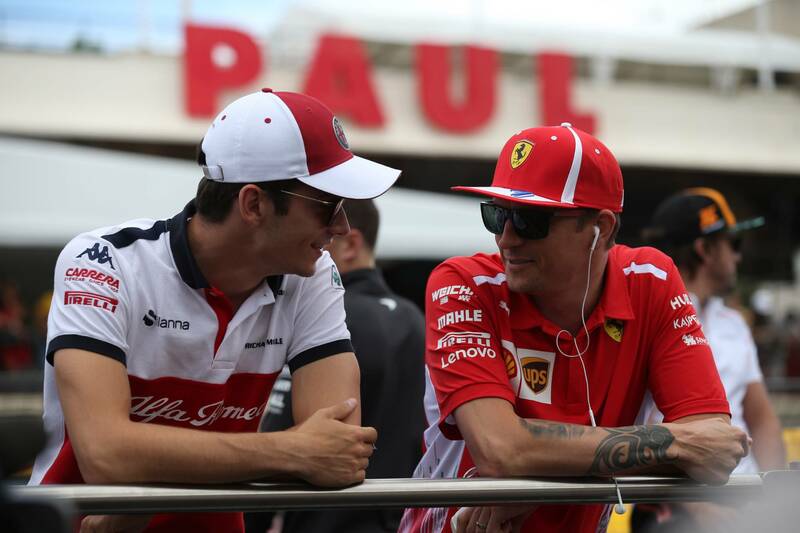 Regardless, for 2019, it’s looking like Leclerc’s astonishing rise up the motorsport ladder will see him link up with Ferrari. It would mark Ferrari’s boldest driver call since opting to put Felipe Massa alongside Michael Schumacher in 2006. The time is looking right for the Ferrari Driver Academy to yield its first fully-fledged Ferrari F1 driver. Then it really is up to Raikkonen to decide what he wants to do. He’s not likely to quit racing completely, having entered some rally events in the past, and was linked with a possible Toyota test earlier this year. Should he want to remain in F1, though, there would be a few options - and this is where McLaren could come in. Right now, all eyes are on Fernando Alonso to see whether he’s going to stick around for 2019. After winning the 24 Hours of Le Mans at the first attempt last month, Alonso has just one more leg of the ‘triple crown of motorsport’ to complete: the Indianapolis 500. It’s possible that he could stick around in F1 and pop to Indianapolis once a year, missing Monaco each time. However, given his growing disillusionment with the sport, he may decide that a full year of IndyCar is more to his liking. It would also remove any headaches over the confirmed clash between the Sebring World Endurance Championship round and the F1 season-opener in Australia, with his participation in the former required if he is to win the WEC title. Regardless of where Alonso races, McLaren is keen to keep him as part of its family from next year. Racing director Eric Boullier stressed as much when I asked him directly about the Raikkonen reports over the weekend. And then came an answer that was more about what wasn’t said than was. I asked Boullier if Alonso did leave, was he confident that Vandoorne could lead McLaren? It was a golden opportunity to really get behind Vandoorne and make a statement for the future. Yes, he’s struggling now, but we believe in him. We believe he’s got the chance to raise his game and lead this team. Instead, Boullier shut off. Perhaps it’s down to some uncertainty about the British media in recent weeks in the wake of ‘Freddogate’. Perhaps he was bored of talking about drivers. Nevertheless, it came across as a strange answer. Much as Leclerc is Ferrari’s bright hope for the future, Lando Norris is McLaren’s. The British youngster has bags of talent, winning titles at every level he’s raced at, and has impressed during his F1 test appearances. Now in Formula 2, he is close to making the final step up to F1 - but McLaren is not looking to rush his ascension, having knocked back an approach from Toro Rosso earlier this year to sign Norris on loan. It appears that an Alonso/Norris F1 line-up is McLaren’s goal for 2019. Norris is young, British, and massively talented (albeit a little underwhelming in Austria, losing the F2 points lead). It would be a highly marketable line-up. What’s more is that the team is scared of losing him to a rival; it doesn’t want him to be pinched away. So if Alonso does stick around, it looks like Vandoorne could be the casualty. That condition is looking increasingly unlikely, though. If Alonso goes to IndyCar, there’s a seat ready and waiting for Norris to take, but would there be enough confidence in Vandoorne to act as team leader? McLaren may not be fighting at the front of the pack, but it still needs a driver to stand up and help its drive forward. Vandoorne is talented, yes, but lacks the experience of Alonso when it comes to helping develop a car. He’s also never finished an F1 race higher than seventh, only adding to the question marks hanging over his head. Raikkonen may be turning 39 in October, and his motivation may have been brought into question time and time again, but he’s still the most experienced option out there. Most of his peers from a decade ago - the Jenson Buttons, the Felipe Massas - have now left the sport, leaving a big gap down to the likes of Sergio Perez, Romain Grosjean or Nico Hulkenberg. Besides Alonso, and besides the drivers in the top teams that are already locked down for next year or poised to be, Raikkonen actually offers the best mix of experience and speed. What’s more is that Raikkonen is hugely popular. From a marketing perspective, he offers a huge number of pros, even with his aloofness (a trait which has, if anything, made him only more endearing to fans). His history with McLaren is also looked back on with great fondness, even if it was a very different era of the team then, still being managed by Ron Dennis and with works Mercedes backing. A Raikkonen/Norris partnership for McLaren next year would have seemed like a crazy proposition a few months ago. Given the way the driver market is moving, it is now shaping up to be a real possibility. Red Bull chief Christian Horner joked in Austria that the driver market was waiting on Toto Wolff to finalise Hamilton and Bottas’ contracts for next year before it could kick into gear. But if you’re looking where the action is really going to happen in silly season, Alonso’s decision will set things in motion. Until then, everyone outside the top three teams will be on standby before making a call. Raikkonen may not stand much chance of winning races or titles with McLaren in its current state, but if he’s just looking for a way to keep racing in F1 with a team not marooned at the back of the grid, it could be a serious option for him to consider.